While wine pairings used to be all the rage, now even the classiest restaurants offer up fine craft brews with pairing ideas and options. Drinking the brew of your choice is no longer restricted to a case on the back porch but is an activity you can enjoy out on the town at pubs, restaurants, and even movie theaters. However, enjoying a quality brewed drink is an acquired taste and not everyone instantly loves the taste. For this reason, lots of new breweries are looking for new styles of beer that may tickle the fancy of even the stubbornest palettes. Here are just three craft beers for non beer drinkers to try. If you know nothing and are looking for an easy to drink brew, picking out a lighter colored variety can usually do the trick. The lighter the colour the less intense the flavor is- usually. This is a fairly simple and simple rule of thumb to use if you are reluctant to stronger flavors and thicker textures. Similar to learning about coloration, choosing styles that are generally easier to take on a beginner’s palette is a useful skill to know. Hefeweizen, a german style, offer a clean citrus forward taste with a smooth creaminess that is refreshing and usually ideal for hot days. Other German or Belgian style brews are similar and will offer and simpler experience for newcomers. It seems that the more experienced drinkers enjoy exploring taste profiles that are powerful in hops and malty-ness. These tend to include amber or brown ales, India pale ales, and the most powerful in bitterness and hoppiness being double IPAs. Hefeweizens – As mentioned before, the refreshing taste that conveys most Hefeweizen beers makes it very appealing for the non-beer drinker. This style can be found nearly everywhere in local breweries and national craft brew firms with some brands purchased by the big three national beer distributors. Due to their popularity and easy drinkability, whenever these beers were created by artisan crafters they were immediately purchased for mainstream distribution and marketing. Sour beers – Sour beers have start to gain in popularity because of their distinctive flavors and capability to convert the non-brew drinker over. Sours are brewed to have intentionally tart and sour flavors with elevated acidity. They come in a variety of sub-styles and unique combinations of flavors so simply trying one will not do this creation justice. 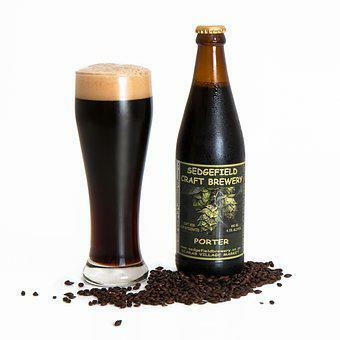 Stouts or porters – These are the thickest, usually sweetest, and highest alcohol content of the three. Perfect as a dessert beverage or through a cold season before the fire, these often have flavors of chocolate, coffee, and a smooth creamy malty-ness that many appreciate.